When converting volume, you may encounter cubic units. If you need to convert a cubic unit, you must take the value and the unit into consideration and develop a cubic conversion factor from the given conversion factors. 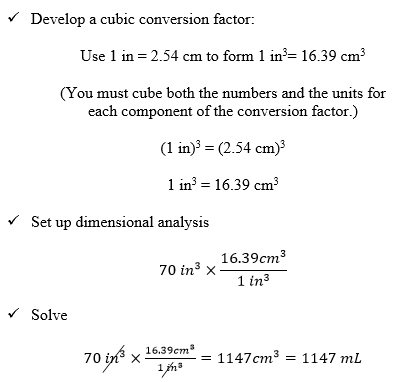 Both the given unit and the units in the conversion factor ratio must be in the same (cubic) units!